Did you ever see the Subway commercial with Jared? excellent example of reframing a business. 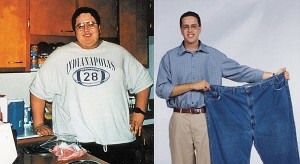 Subway is a fast food business but with the Jared ad they reframed their business as a weight loss business. They used the marketing strategies of the weight loss industry…the before and after photo, the diet plan, the story of a successful dieter. This entry was posted in Business Marketing, Charging And Fees, Get New Clients by AndrewCavanagh. Bookmark the permalink.